Great timing for the shots! Oh spring my favourite season :) great shots! Lovely blooms with a busy bee! 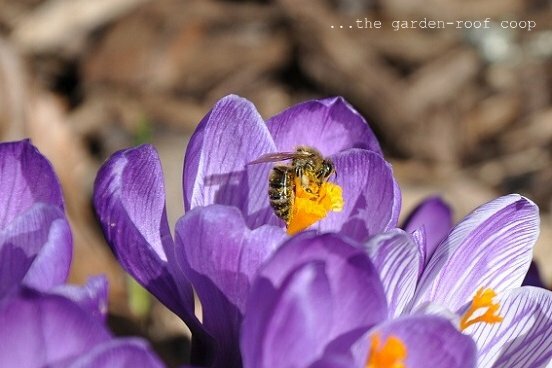 The bee carrying that heavy load of pollen is an amazing photo. Glad I stopped by. Beautiful photos! I love the 'in flight' one the best, and the sunniness of them makes me warm. Thanks for sharing. 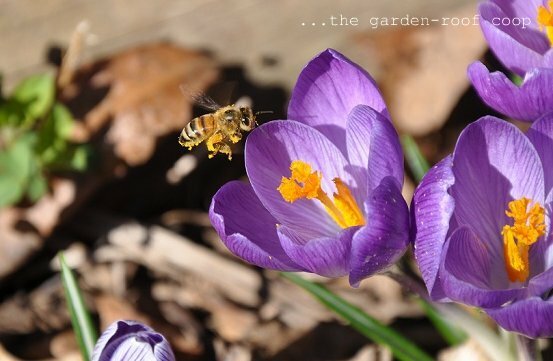 Great shot of the honey bee, especially the in flight photo. It looks as if the bee is well on its way to collecting a load of pollen.